Animation artists Studio Smack, best known for their music video Witch Doctor by De Staat, were asked to ‘go crazy’ with a modern-day interpretation of one of the most famous paintings by Early Dutch master Hieronymus Bosch, The Garden of Earthly Delights. For this work, Studio Smack cleared the original landscape of the middle panel of Bosch’s painting (the original was a triptych) and reconstructed it into a hallucinatory 4K animation. The creatures that populate this indoor playground embody the excesses and desires of 21st century Western civilization. Consumerism, selfishness, escapism, the lure of eroticism, vanity and decadence. All characters are metaphors for our society where loners swarm their digital dream world. They are symbolic reflections of egos and an imagination of people as they see themselves – unlike Bosch’s version, where all individuals more or less look the same. 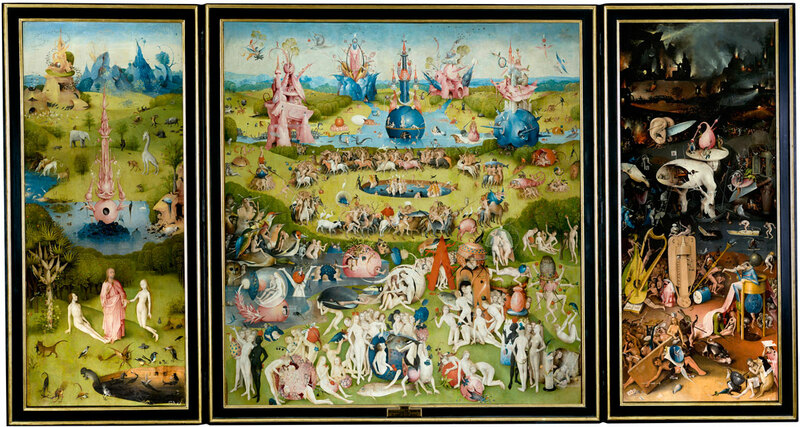 ‘Paradise’ was commissioned by the MOTI Museum in The Netherlands for the exhibition New Delights, which was part of the Hieronymus Bosch 500-year anniversary. A gigantic video installation of this work was exhibited in the Museum last year but has since ended. 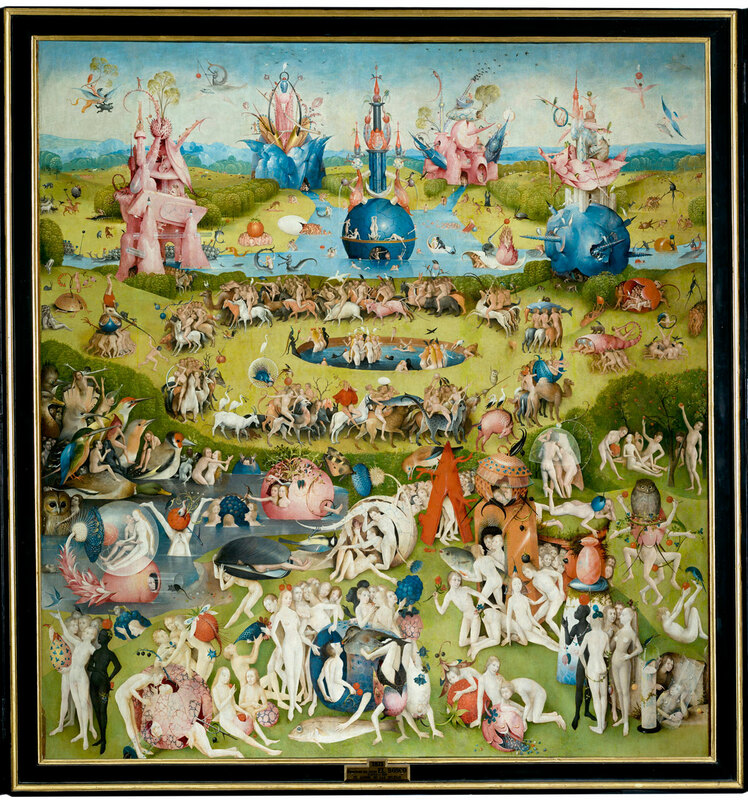 The Garden of Earthly Delights is the modern title given to a triptych oil painting on oak panel painted by the Early Netherlandish master Hieronymus Bosch, housed in the Museo del Prado in Madrid since 1939. It dates from between 1490 and 1510, when Bosch was between 40 and 60 years old.